Paul Hawken has lead a research effort to highlight more than proven way to reduce atmospheric carbon concentrations with the celebrated Project Drawdown. These economies and the transformative innovation that drives them will be supported by national and international networks of collaboration and P2P knowledge and technology exchange. By spreading these community-led and place-sensitive solutions from place to place, rather than scaling them up into so-often unsustainable mega-projects, we can reach regenerative impact at a global scale through spreading of patterns of regeneration rather than scaling one-size fits all silver bullet solutions. There are many global networks of local actors that understand the need for elegant solutions that are carefully adapted to the biocultural uniqueness of place. We are learning to think and act glocal and ground a global vision of a regenerative and thriving future for all through local and bioregional action enabled, informed and empowered by inter-local and inter-bioregional as well as international collaboration. Researchers around the world have realized that now is the time for linking their scientific investigations to practical and immediate action on the ground. If we are to avoid Hothouse Earth we need to act now to dampen the worst of the climate chaos. If we succeed we will make the turbulent decades ahead the least traumatic possible and this would help us to hopefully restabelize climate patterns within this century. The concept of planetary health as an integrative platform for transdiciplinary collaboration is gaining more and more attention in recent years. Tony kindly said that his own conception of planetary health and that of the Planetary Health Alliance had been informed by the holistic approach I was working on back then. In our meetings over three days Capon and I agreed to collaborate on a number of projects and build on the potential of linking the networks involved in regeneration with those building the field of planetary health. Both as an academic metadiscipline or integrator and as an approach to policy making and education planetary health has huge potential and mounting support. Yet much of our conversation centered on our shared interest in linking ecosystems restoration, regenerative development and planetary health in practical on the ground implementation of whole system prototypes at the community, city and bioregional scale. Such an UN initiative can only support the work of many projects around the world that are aiming to operationalize large scale ecosystems restoration and the regeneration of healthy ecosystems function and planetary health in many locations around the globe. There are new business models and ways of financing and operationalizing ecosystems regeneration and large scale bioregional regeneration being developed and piloted by The Commonland Foundation and the Regen Network. Carol Sanford has been an inspiration and a mentor for many in the wider field of Regenerative Development and has recently been curating a community of regenerative business leaders through the Regenerative Business Summit. She also inspired the wonderful work that Ethan Roland and Gregory Landua have done on regenerative enterprise. The work of the ecologist film-maker John Dennis Liu documents inspiring large scale ecosystem restoration around the globe. The regeneration of hundreds of square kilometers of the Chinese Loess Plateau is only one example. The Ecosystems Restoration Camps Cooperative and Foundation is running a pilot project in Southern Spain and planning to start more such camps soon. May the youth of the world join hundreds and thousands of such regional ecosystems regeneration efforts around the planet and become a force for planetary healing! In the realm of redesigning our economic and monetary systems there has been a landslide shift. Only ten years ago questioning GDP as an economic indicator or daring to point out the structural dysfunctionality of an economic system addicted to economic growth on a finite planet was considered fringe if not subversive. This emerging new story of our human potential as life to create conditions conducive to life is giving people a deeper meaning for engaging with the necessary changes ahead. The motivation for this change goes beyond utilitarian and monetary values. We are finally growing up and taking our mature and responsible place in the community of life on Earth. The decades of climate chaos and systemic breakdown that we are now steering into will have a catalytic function in our species own maturation. Start enjoying a happier life you deserve as a healthier person inside and out. Critical Decisions in Emergency Medicine: American College of Emergency Physicians. Build your clinical arsenal with this patient-care focused publication. 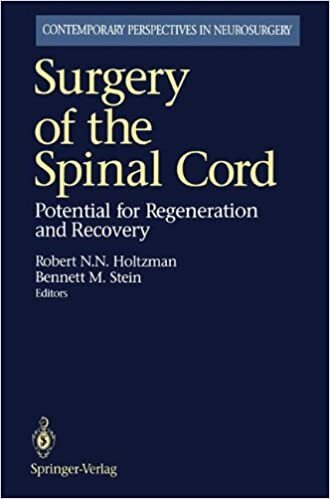 From the Back Cover This book offers readers a comprehensive biomaterials-based approach to achieving clinically successful, functionally integrated vasculogenesis and myogenesis in the heart. Provides a valuable overview of the engineering of biomaterials for cardiac regeneration, including coverage of combined biomaterials and stem cells, as well as extracellular matrices Presents readers with multidisciplinary coverage of biomaterials for cardiac repair, including the role of extracellular matrix in cardiac development, whole-heart tissue engineering, and spatial and electrical factors regulating cardiac regeneration and assembly Provides a platform to allow for future developments and collaborative approaches in biomaterials-based regenerative medicine. Springer; edition November 13, Language: Be the first to review this item Amazon Best Sellers Rank: Related Video Shorts 0 Upload your video. Try the Kindle edition and experience these great reading features: Customer reviews There are no customer reviews yet. Share your thoughts with other customers. Write a customer review. The Effective Praise and Worship Leader? Under a Creative Commons license. Abstract Objective To identify and synthesise what is known about the impacts of regeneration on health, health inequalities and their socio-economic determinants. Study design Rapid, structured literature review.